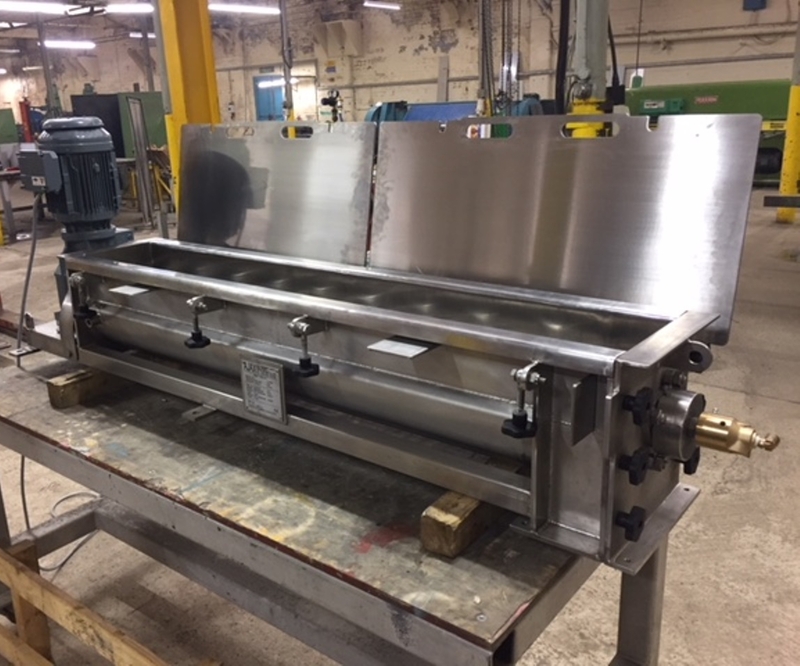 Ajax Equipment, Bolton, UK, has supplied a leading UK-based high integrity manufacturing and services provider with a continuous mixer featuring Lynflow™ clog-resistant blades for mixing chocolate with inclusions. The single screw paddle mixer will combine warm chocolate with free-flowing candy pieces. To ensure the liquid chocolate maintains the required temperature, the mixer features a heated jacket and screw shaft. The contact parts of the mixer are constructed from 316L stainless steel with polished crack and crevice free welds for a hygienic finish.